After training the first generation of Civil Rights lawyers during his years as Dean of Howard University's Law School, Houston was appointed in 1935 o be the first Special Counsel of the NAACP. Often referred to as the "Moses of the civil rights movement," Houston was the architect and chief strategist of the NAACP's legal campaign to end segregation. In 1896, the U.S. Supreme Court endorsed segregation in Plessy v. Ferguson, which established the "separate but equal" principle. In a study commissioned by the NAACP in the 1930s, Nathan Margold found that under segregation, the facilities provided for blacks were always separate, but never equal to those maintained for whites. This, Margold argued, violated the equality aspect of Plessy's "separate but equal" principle. Margold proposed a series of lawsuits that would challenge the system. After joining the NAACP, Houston refined Margold's recommendations, developed a strategy, and implemented a battle plan. Under Houston's "equalization strategy," lawsuits were filed demanding that the facilities provided for black students be made equal to those available to white students, carefully stopping short of a direct challenge to Plessy. Houston predicted that the states that practiced segregation could not afford to maintain black schools that were actually equal to those reserved for whites. From 1935 to 1940, Houston successfully argued several cases using this strategy, including Murray v. Maryland, (1936) which resulted in the desegregation of the University of Maryland's Law School and State ex rel. Gaines v. Canada, in which the U.S. Supreme Court ordered the admission of a black student to the Law School at the University of Missouri (1938). When Thurgood Marshall succeeded Houston as NAACP's Special Counsel, he continued the Association's legal campaign. During the mid-1940s, in Smith v. Allwright, Marshall successfully challenged "white primaries," which prevented African Americans from voting in several southern states. In Morgan v. Virginia (1946), Marshall won a case in which the Supreme Court struck down a state law that enforced segregation on buses and trains that were interstate carriers. In 1948, Marshall and other cooperating attorneys won an important victory in Shelley v Kraemer, which ended the enforcement of racially restrictive covenants, a practice that barred blacks from purchasing homes in white neighborhoods. In 1950, Marshall won cases that struck down Texas and Oklahoma laws requiring segregated graduate schools in Sweatt v. Painter and McLaurin v. Oklahoma. In those cases, a unanimous U.S. Supreme Court held that the Equal Protection Clause of the Fourteenth Amendment required those states to admit black students to their graduate and professional schools. These decisions paved the way for one of the NAACP's greatest legal victories. In 1954, Thurgood Marshall and a team of NAACP attorneys won Brown v. Board of Education of Topeka, Kansas. In this landmark decision, the Supreme Court held that segregation in public education violated the Equal Protection Clause of the Fourteenth Amendment. Brown consisted of six separate cases in five jurisdictions; Kansas, South Carolina, Virginia, the District of Columbia and Delaware. These cases are remembered as "Brown" because Oliver Brown was one of several plaintiffs in the Kansas case whose name appeared first in the court filings. He was represented at the trial and in the Supreme Court by NAACP attorney Robert Carter, who developed the innovative strategy of using the testimony of social scientists and other experts to demonstrate the psychological injuries that segregation inflicted on African American school children. The Brown decision inspired the marches and demonstrations of the civil rights movement of the 1950s and '60s. These wide-spread protests ultimately led to the enactment of the Civil Rights Act of 1964, the Voting Rights Act of 1965 and the Fair Housing Act of 1968. During this period, the Association represented civil rights workers and fought to implement Brown in numerous desegregation cases across the nation. Cases were filed that successfully challenged discrimination in public accommodations, housing, employment, voting. 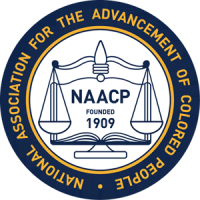 Today, NAACP attorneys are still challenging racial discrimination whether it appears in the guise of corporate hotel policies that discriminate against African-American college students, voting disenfranchisement during national presidential elections or state-sponsored symbols of white supremacy, such as the Confederate battle flag. 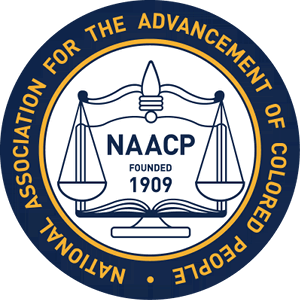 The NAACP's Legal Department focuses on class actions and other cases of broad significance in areas including employment, education, housing, environmental justice, criminal law, and voting, striving always, to advance the Association's goals while remembering Charles Hamilton Houston's admonition that "[A] lawyer is either a social engineer or a parasite on society."